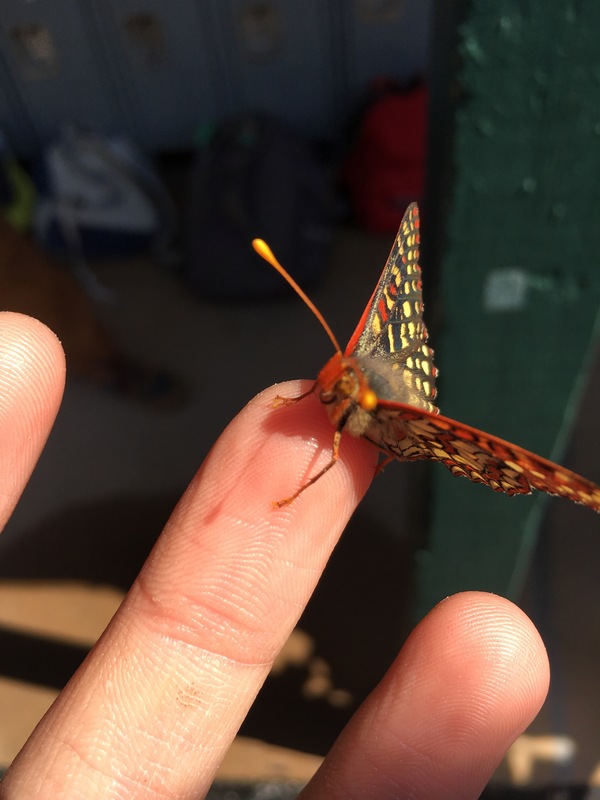 Aaron provides a perch to a Variable Checkerspot (Euphydryas chalcedona) atop a hill in Ojai. We have an abiding affection for butterflies in our family, believing as we do that my late father’s spirit animal/petronas was a butterfly. NB: I’m also a fan of honey bees, but they tend to be less amenable to handling. Sitting down at my desk as the sun rises on a quiet coastal morning, a female Costa’s Hummingbird hovers outside my window, so close that I can almost touch it. My camera is inches from my hand, but I stop, realizing that I’d scare her off with a sudden move. So I just enjoy the moment, the tiny creature hovering just beneath the sun-dappled fronds of the palm, and time stands still. What does El Niño Really Mean for Us? But besides providing Chris Farley in 1997 with one of his greatest Saturday Night Live skits ever, what do you really know about El Niño? We’ve broken down the science, gathered the best weather research, and talked to seasoned meteorologists to give you the ultimate insider intel on what to expect this winter across the United States. This is probably the best guide I’ve seen so far to what El Niño will mean to California, and on what conditions. If you have spent much time along California’s beaches, you will have come across an odd sight: conventionally-fired power plants perched on our shores. The need for these beasts to be taking up our seashores has long since been eliminated by technology. What is more, California’s energy needs have been falling even as generation capacity has been rising with the addition of massive wind and solar plants. So why are utilities – including NRG – looking to build fossil-fuel fired plants along our shorelines? Taking the McGrath Peaker run by NRG as an example, and acknowledging that none of the issues involved are simple, Werner Keller explains why these plants no longer make sense, and why the land they and their support infrastructure takes up should be returned to nature. You may not agree with Mr. Keller, but you must acknowledge that these plants are due for a re-think in light of California’s emerging energy picture. Looking eastward from the summit of Pacheco Pass one shining morning, a landscape was displayed that after all my wanderings still appears as the most beautiful I have ever beheld. At my feet lay the Great Central Valley of California, level and flowery, like a lake of pure sunshine, forty or fifty miles wide, five hundred miles long, one rich furred garden of yellow Compositae. And from the eastern boundary of this vast golden flower-bed rose the mighty Sierra, miles in height, and so gloriously colored and so radiant, it seemed not clothed with light but wholly composed of it, like the wall of some celestial city…. Then it seemed to me that the Sierra should be called, not the Nevada or Snowy Range, but the Range of Light. And after ten years of wandering and wondering in the heart of it, rejoicing in its glorious floods of light, the white beams of the morning streaming through the passes, the noonday radiance on the crystal rocks, the flush of the alpenglow, and the irised spray of countless waterfalls, it still seems above all others the Range of Light. – John Muir, The Yosemite (1912) chapter 1. Over the past year I have had the great good fortune to drive the length of this state – or at least the bits between Ventura and San Francisco – no less than seven times. That each trip was made for business hardly mattered. Having been back home a year after two decades abroad, I have yet to tire of the vistas – even those afforded by Interstate 5, which is admittedly less picturesque than State Highway 1, US 101, or even State Highway 99. We are spoiled for choice in California. The state is so filled with incredible things to see that the merely stunning is considered everyday, and left forgotten, if not neglected, save by a tiny few. Such is the lot of Montaña de Oro State Park. I’ll fess up first: if my son had not become enamored with the park while on a school camping trip, I might well have permanently overlooked it. Montana de Oro sits parched on an empty stretch of the coastal promontory between the Diablo Canyon Nuclear Power Plant and Morro Bay. If you drive up the coast, you pass through Pismo Beach and San Luis Obispo with barely an inkling that the park is there. And if you do venture off the main highway and find it, it takes a degree of determination or a surfeit of luck to find the place. MdO is approached from the east by Los Osos Valley Road, a county highway that gradually loses width until, passing through its eponymous town, becomes more of a residential drive than a highway to an 8,000 acre park. The road bends and changes names as it approaches the park, and by the time you pass the dunes near Hazard Canyon, the highway has become too narrow for large RVs: the park maximum is 27′ vehicles. But the trip is worth it. You enter the park (no fee, except for camping) and quickly find yourself driving into the dirt lot behind a gravel beach. This is Spooner’s Cove, and the blacktop pretty much ends here. Beyond this, it is all dirt, and mostly on foot. Montana de Oro was given to the State of California in 1965, when Edmund G. Brown, Sr. managed to assemble the funds to expand California’s state park system, and the owners of the land worked with the state in a “friendly eminent domain” process that saved the land from development. And what a gift. The beach will captivate you first. The gravel is that fine, soft mix that feels more like giant sand. 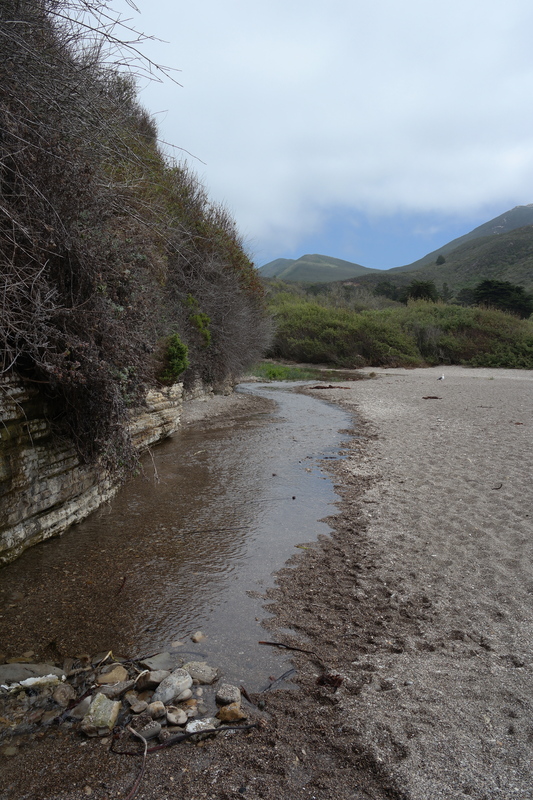 Islay Creek, streaming down through its namesake canyon and campground, runs alongside a bluff to the right side of the beach, and the sound of the waves and that of the stream coming down to meet it mix into a pleasing cacophony that is a rare find so far south. The waters meet in a mix of tide pools and small caves that beg for exploring as the tide rolls out. We spent so much time on the beach that we did not walk the bluff trail that runs all the way down to Carolina Cove and the park’s southern border. We regret that, but not too much: the one thing you learn about the park is that its comparatively primitive state belies the depth of its different charms. You could literally spend the full day just exploring the beach, the tidepools, the bluff, and the creek. Or climbing the mountain. Or taking the Bluff Trail. For someone with the right eyes, there is easily 3 full days of exploring the different habitats and moods of this stretch of the coast. The other reason we have no regrets: it gives us an excuse to go back. 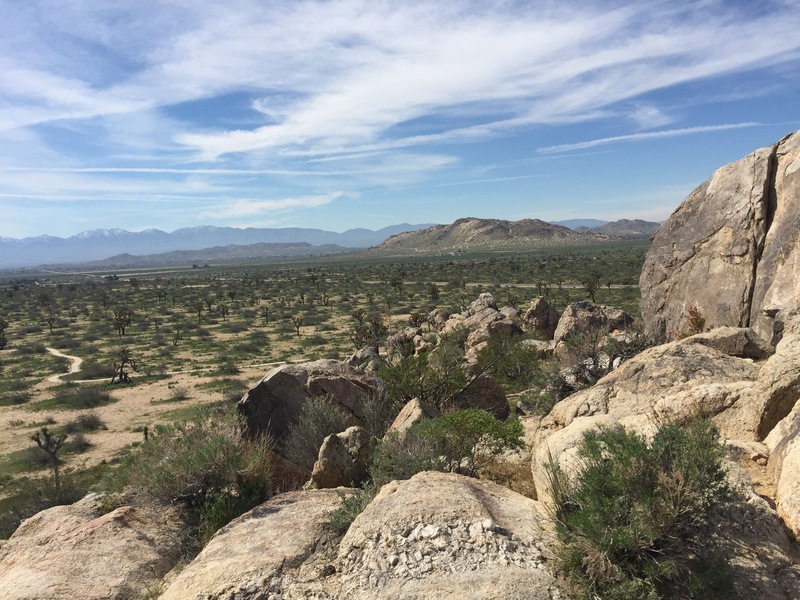 The park is a hiker’s paradise, and behind the beach and bluffs are 32 square kilometers of inviting wilderness, including the 1,347-foot-high Valencia Peak, the “mountain of gold” referenced in the name of the park. The hikes range from the easy trek along the Bluff Trail to the moderate-to-difficult hike up to the top of the mountain. The latter is not for the faint-hearted, but the sea air is bracing and the view from the top is worth taking an extra hour or two you might need to take the mountain at your own pace. Between the mountain and the cove is tucked a wooded campground lined up alongside the Islay Creek as it meanders its way up the canyon. The slope steepens and the canyon narrows within a few hundred yards, and the trail up the mountain begins. There is no sense here of being at an an oversized KOA: the grounds are modest and speak to campers who don’t mind company but balk at crowds. This is the way front-country camping should be. At the foot of the campground sits the Spooner ranch house that today serves as park headquarters. There is a small but earnest gift shop that feels like it was the old breakfast room and dining room of the ranch house. Do the park a favor and find something here that charms you – postcards, a patch, a little piece of bric-a-brac – pay for it, and take it home. Proceeds go to keeping up the park, and the park could use the help. Which brings us to the unmentioned sword that hangs above the future of this beautiful spot. In 2008, in an austerity measure, Montana de Oro was placed on the list of parks to be closed by the governor. There was an outcry and funds were found, but the reprieve feels temporary. The park does not charge admission to day users, but logic suggests that a stark choice lies in the park’s future: either allow commercial development, close the park and keep it as an un-visitable state reserve, or bite the bullet and start charging day-use fees. In short, go, and go soon. Simply by making the trip, you’ll be doing something to support the park, and thus lessen the likelihood that it will be closed. if you are journeying on the 101 and can squeeze a couple of hours out of your schedule as you enter San Luis Obispo, forego the trip to the Pismo Beach Outlets and treat yourself to a moment of peace and beauty that you will remember. I grew up enamored with the idea of being a firefighter, inspired by the January 1972 premiere of NBC’s Emergency! I was pretty open about my ambitions for a few years, even attempting to organize my own grade-school version of a volunteer fire department. My parents fretted about my obsession, though, and the fact that it took away from my concentration at school. Worse, perhaps, was that my interest became decidely uncool before I was ten, and given my persistent geeky social awkwardness I needed as few factors as possible working against me. I remained an avid fire buff throughout my teens, but I kept it under wraps. Then, at seventeen, my firefighter fantasies seemed poised to come true. Working for the summer of 1982 on the rural west end of Catalina Island, I was sitting down for lunch on July 3rd when the fire siren wailed. Looking up to see a growing pall of smoke from the dry hillsides next to Catalina Harbor a scant two miles away. I rushed back to work only to be hurriedly herded with a handful of other locals into the back of the sheriff deputy’s Bronco, then deposited alone, clueless and tool-less minutes later along a road between the fire and the tiny community at the Isthmus. At that moment, alone on a hillside, a hundred yards from the next nearest person, without a shovel, protective gear, leadership, or training, with a wind-blown fire a mile away and moving in my direction, I engaged in the kind of struggle experienced only by teenaged boys. Hero Complex urged me to “hold the line” against the fire, using my shirt to fight it if I had to. Hero Complex was quickly overruled, however, by the power-team of Common Sense and Fear: “what can I do by myself with no tools?” asked Common Sense. “Let’s get the f*** out of here before we burn and die,” urged Fear. Down the hill I went, alone as I came up, hating myself every step of the way, even after I saw that the fire chief had decided to set up a perimeter around the structures in the direct path of the fire, leaving to burn the brush I was sent to defend. I spent the rest of the night as spectator and support, never quite forgiving myself for not making the stand, but knowing (hoping?) that somehow I had done the right thing. Apart from earthquakes, there are probably few things that scare the hell out of your average Californian more than a wildfire. From afar, they are horrifying in an intellectual kind of way. Put yourself in the path of an advancing wall of uncontrolled flame, though, and suddenly something inside your lizard brain starts squeezing your adrenal glands until every cell in your body tries to flee of its own accord. And well it should. Fighting fires of any kind is not for wannabees. The chemical nexus of heat, fuel, and oxygen is more than just a simple reaction. The best description I have ever heard was Robert DeNiro‘s line as fire marshal Donald ‘Shadow’ Rimgale in Ron Howard’s Backdraft. Your average professional firefighter has the equivalent of a university education on the science of fire suppression. The National Fire Protection Association suggests a minimum of 110 hours, or three weeks, of intensive training before a physically-fit volunteer firefighter is allowed to join a department, and most departments lay heavy demands for continued on-the-job training for minimum competence. Yet every year, the roll-call of firefighters killed in the line of duty grows. Fire, that fickle witch, claims for her own even the best trained and most experienced. And the most wicked, unpredictable, terrifying kind of fire is the wildland conflagration, when brush, bush, and entire forests play host to howling walls of burning terror. Despite the danger, every fire season, over four thousand felons voluntarily place their bodies between those walls of flame and our homes in the state of California. Somehow these convicted felons overcome whatever character flaws they possess and step into some of the most grueling and dangerous work in America. It is a great untold story of heroism in the Golden West, and James Pogue set out with camping gear, notebooks, and tape recorder in his pickup truck to learn more about California’s convict conservationists. What he describes is at once heartening and unsettling. Most of the convicts come from urban backgrounds, yet they live for weeks, even months, in the rough conditions of a tent camp, away from anything resembling modern conveniences. It’s a hard life: twelve- and even twenty-hour days spent hiking in rough back-country with heavy tools and wearing heavy kit, engaged in the backbreaking and fraught work of cutting fire breaks and setting backfires just ahead of the firestorm. A sleeping bag and physically draining days clearly beat the scant attractions of life on a cell block in California’s overfull prisons. Having an extra day taken off one’s sentence for each day served on a crew doesn’t hurt, either. The price for release from the perdition of concrete, barbed wire, and brutal social Darwinism is a life facing the embers and flames of California wildfires. Better flaming Hell than seething perdition, it would seem. 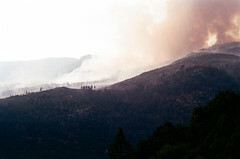 And on that bitter choice balances the safety of an entire state built on what firefighters call the “wildland interface.” Even a law-and-order conservative with an ounce or two of compassion is troubled by the fact that our lifestyles are ensured in part through the risks taken by men we have all but cast off. Pogue’s story doesn’t ask us to sympathize with the devil, nor does he imply that these men have anyone but themselves to blame for their predicament. Indeed, given a full-to-bursting penal system that seems bent on cultivating recidivists, a life eating smoke and cutting fire breaks seems to be the closest thing California prisons offers to genuine rehabilitation. But after reading the story, you will never look at a forest, a prison, a home on a hillside, or a California Department of Forestry truck the same way ever again. And if you have ever met the orange-yellow monster of a wildfire face-to-face, with your life and your loved ones at your back, you might even be driven to whisper a quiet thanks to a weary band of convicts with shovels and hard-hats. The New York Times continues its coverage of California’s growing movement away from English-style gardens and toward xeriscaping, the trend in landscape design toward the use of indigenous flora and ground cover, with a photo essay of the work being done by landscape designer Lisa Gimmy. What is interesting about Gimmy’s approach is that just as she seeks to integrate the garden with its surroundings, she also takes cues from the architecture and interior design of the home. In short, she seeks to create a continuum between natural surroundings, garden, and living space. The approach is thus an outright rejection of the traditional approach to gardens, which is to bend nature to our hand and to draw a clear distinction between the “wild” and the “civilized.” I see in xeriscaping, and in particular in Ginny’s thinking, an embodiment of a more genuinely Californian (or far-Western) ideal. We need not alter the landscape to live in it – indeed, we are discovering that the less we alter the ecology around us, the more livable we are making it. Looking at Gimmy’s designs, both in the essay and on her website, there is an interesting dynamic at work. Rather than force her clients to give up sod and hedge completely, she seems to be leading them – and, by extension, us – through a transition process by integrating traditional gardens and xeriscapes. Purism would be easier, but Gimmy is not trying to hit us over the head with a new orthodoxy. Instead, she is going the more difficult route, designing gardens that wean us away from our customary ordered Englishness into something more natural and Californian.